This Linen Press tea towel is made with Australian Certified Organic cotton and printed with water-based dyes. 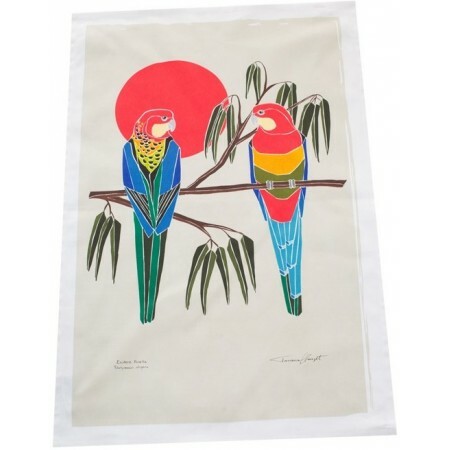 This tea towel features a beautiful Eastern Rosella design by Australian artist Tatiana Clauzet. Made with ACO Organic Cotton which contains no harmful chemicals that pollute the environment. The Linen Press is a carbon neutral business. Packaged in recyclable card and printed with soy-based inks. 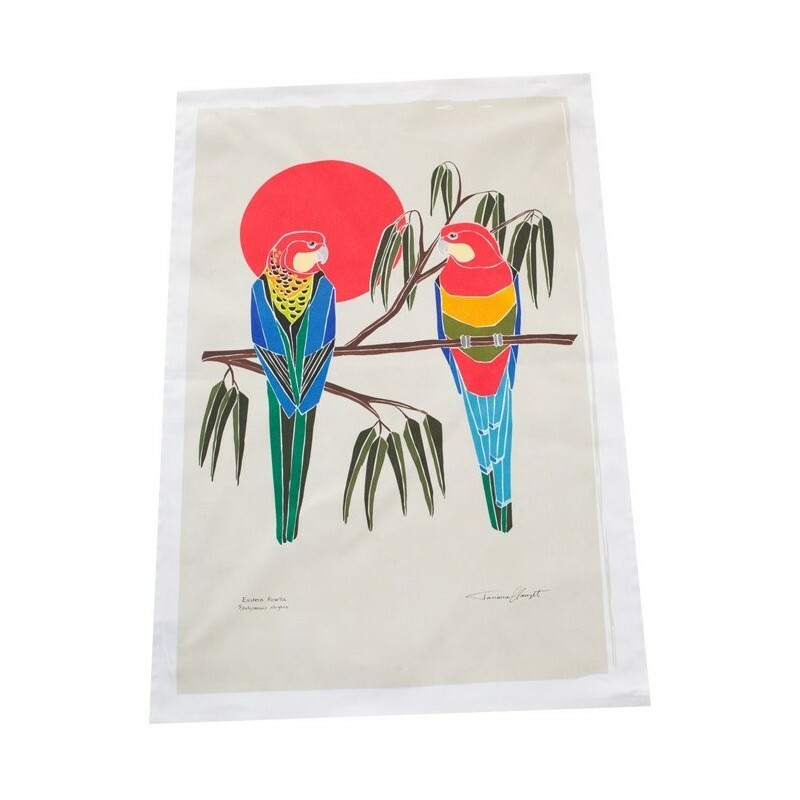 Match with the Eastern Rosella tea towel by The Linen Press for a coordinating gift idea. Printed with water based dyes meeting an organic standard. 70cm x 42cm / Certified Organic Cotton. Bud logo (ACO) Australian Certified Organic. Carbon Neutral Business. Made ethically in India. Designed in Australia.